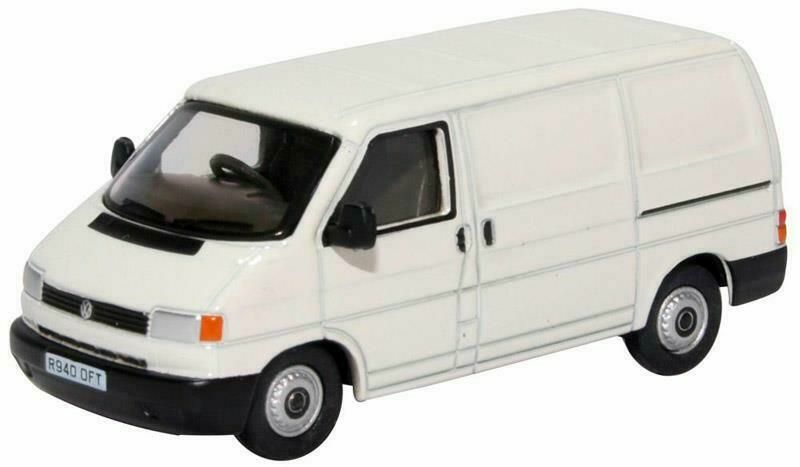 The 1:76 scale VW T4 utility van is simply decorated in a grey white colour scheme with dark grey interior, registered R940 OFT from 1997-98. The Volkswagen Transporter (T4) was produced between 1990 and 2003 and was a great favourite not only in the UK and Europe but also in the USA, where it still enjoys a cult following, such was its appeal. Its success was due to its versatility, appearing as a general utility van, a minibus, camper van with an equal number of door and window configurations.